I haven’t ever come across them again up here in San Francisco, but for #MothersDay, I thought they would be the perfect thing to whip up. The best part about German Pancakes, or Dutch Babies, is that they are extremely versatile. 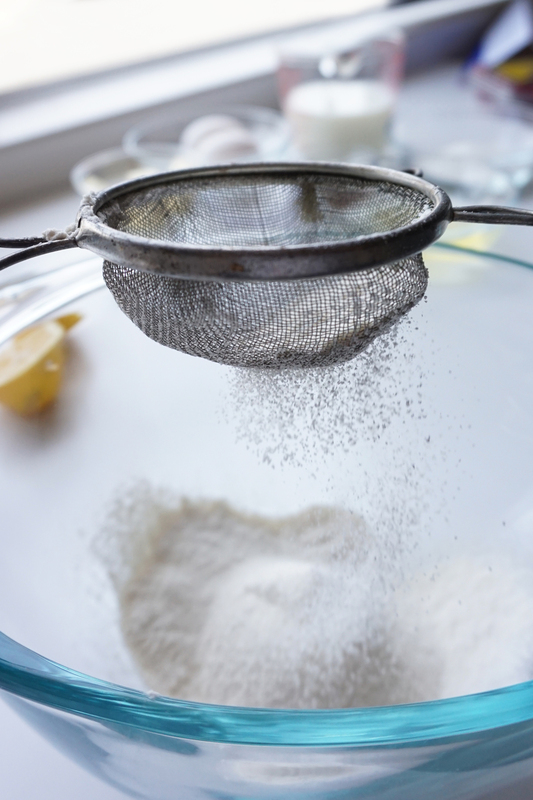 These were originally served as small German pancakes with powdered sugar and fresh squeezed lemon juice; yet over time, the larger regular serving has become popular. This batter is so light and airy, thanks to extra egg whites, it’s wonderful when paired with fresh berries, thin slices of tart apples, or served in the classic style with lemon wedges. 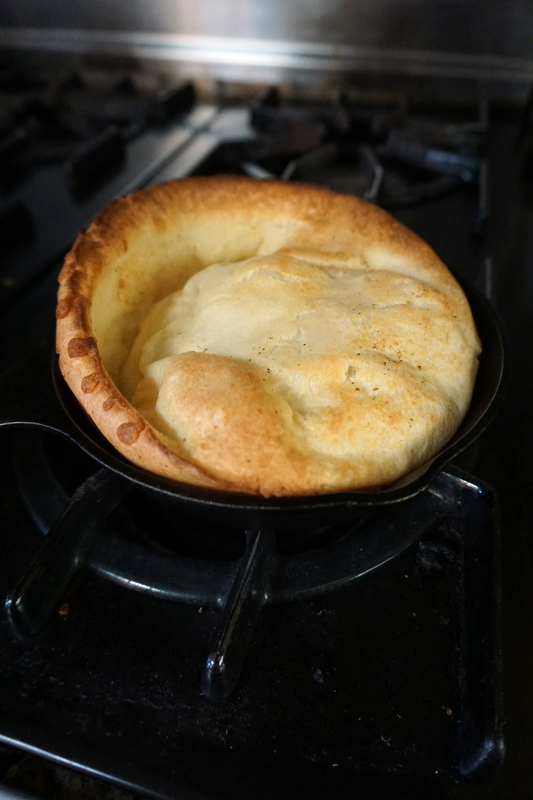 Whatever size, Dutch Babies are brought to life in cast iron. You can opt for a classic 10 inch cast iron skillet, or 4 individual sized cast iron pans. - Optional: dash of nutmeg. 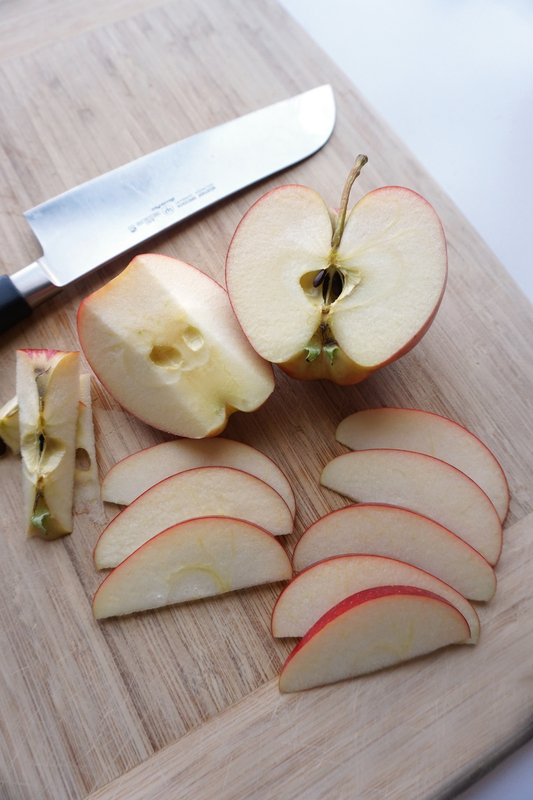 If you’re serving this with apples, a dash of cinnamon is great as well! - Preheat oven to 425F. This is incredibly important. Place your 10 inch cast iron or 4 individual pans into the oven to preheat. - Sift together the flour, sugar, and salt. 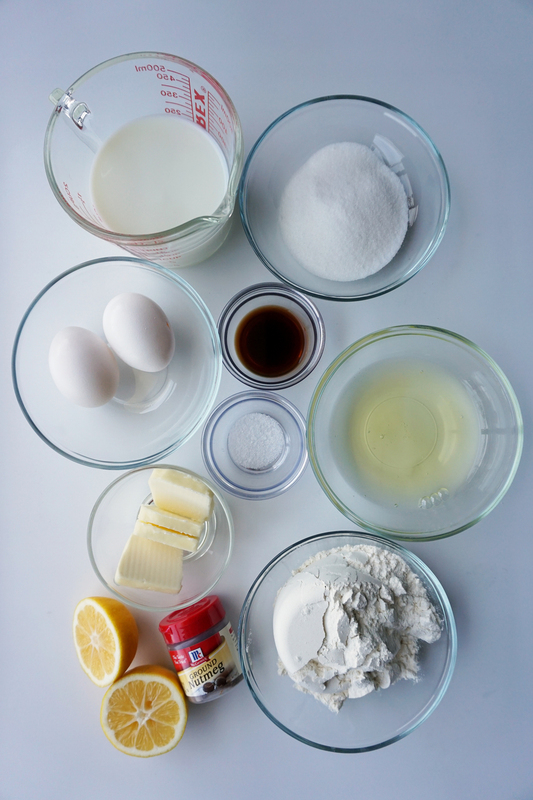 - Whisk in the milk, vanilla, and eggs until incorporated. - Your oven should be preheated by now. The process of making the pancakes is super quick, so if you are serving with fruit such as berries or apples, now is the time to prepare them. - If you’d like to try Dutch Babies with Cinnamon Apples, thinly slice a Gala apple. - If you prefer berries, wash and dry them and have them ready on the side. - When you’re ready, carefully take each cast iron pan out of the oven, placing 1 tsp of butter into each skillet. If you’re using a 10 inch, dump all 4 tsps of butter in! It will sizzle up and turn brown immediately. Swirl to coat the pan - super important. You’ll see why! 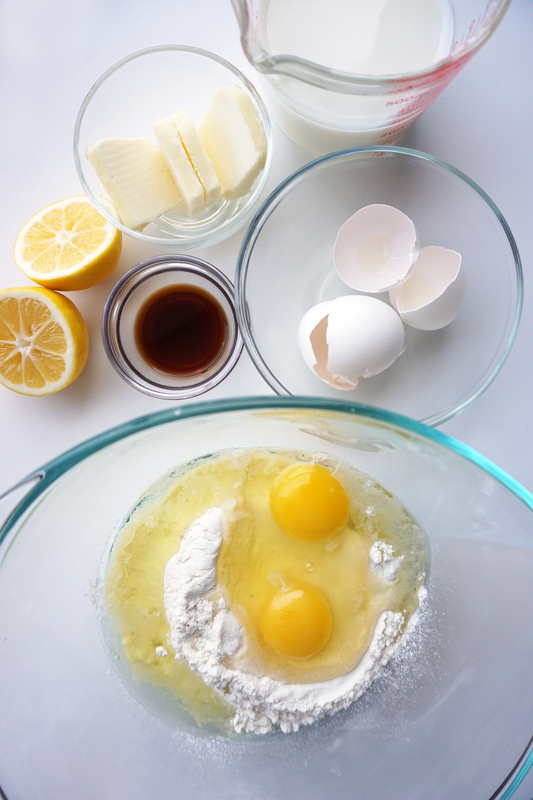 - When you pour/ladle in the batter, the butter rises up around the edges. The areas that turn brown rise up and become golden and fluffy. It took me about 3 individual pancakes to realize this haha! So it’s nice to get it evenly distributed. - For individual sized pans, pour in 4 oz or ½ cup of batter. For a 10 inch skillet, pour all your batter in. - For those of you serving these with fruit, place your favorite fruit into the uncooked batter before baking. For apples, sprinkle a bit of cinnamon on top. I was worried the apples wouldn’t cook thru by the time the pancakes baked, but they were absolutely perfect. Tender but still with a little bite. However you like them, they come out of the oven fluffy and brown, ready for a dusting of powdered sugar. With tart Gala apples, these Dutch Babies taste like the lightest Apple Pie you’ve ever tasted. One is definitely not enough. The edges of the pancake are crisp, and the center is so moist it’s almost like custard. - The process is the same with any berries of your choice. Raspberries are beautiful for Mother’s Day. I love how each Dutch Baby comes out looking a little different - this batter bakes up with so much character! And here are the beautiful classic Dutch Babies with lemon. Hope you enjoyed this one as much as I did! I can’t stop making them for people. If you’ve tried any of my recipes, feel free to let me know! Tag me in photos or posts #brokeandcooking / @bac_blog or @stephaniejung! :) on Twitter or IG!